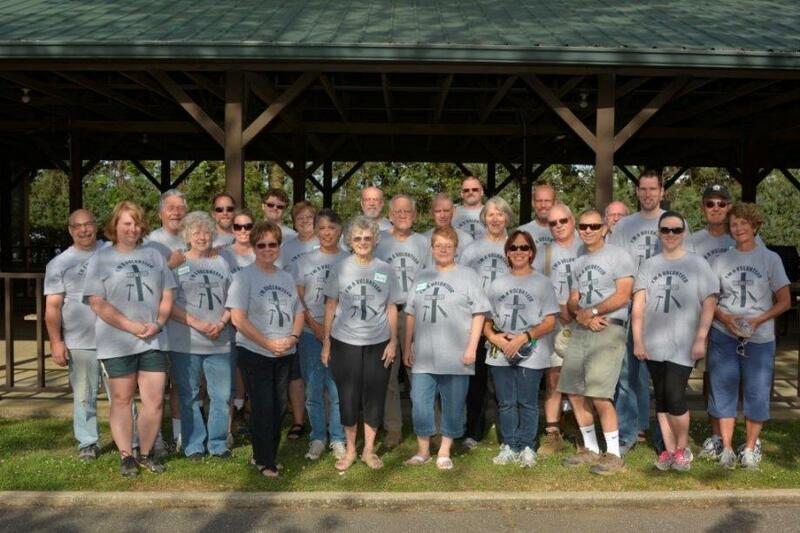 Each Spring we send a team of volunteers to Tuscaloosa to help the ongoing relief from the devastating tornado of 2011. If you are interested in joining this group, we invite you to view our video and then contact Dave Beall. Here is the FULL VIDEO with comments from the participants. Weekly we provide the coffee break for volunteers working on houses in Venice. Habitat for Humanity South Sarasota County calls people to leave the halls of the church and to serve in the way that the original apostles served....As the body of Christ in the world. As a Habitat partner we help raise the money, provide the labor, and the prayer support, in partnership with a local family. Click to see our 2016 story. In 2016 we were joined by TEN new volunteers and worked on four different houses, and were able to meet, befriend and work with two of the homeowners. 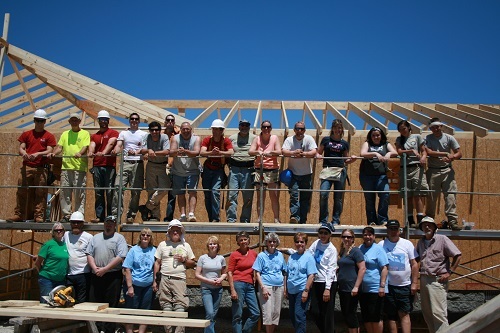 In 2013 this group started Sharon Stone's home with Habitat's expectation that we'd get one wall up. We left with all walls up, the roof finished, and the house sheathed. In 2014 the women were chosen to start the first all women’s build house by Habitat of Tuscaloosa (HOT). The men started and completed HOT’s first major remodeling project. The 2015 Team was invited to participate in the 100th Habitat house building and accepted the challenge to build it in 100 hours. The team completed the task with the house keys ready to be turned over to the new owner in 65 hours.